The wrapper is medium brown with some darker sections and a few prominently raised veins. The seams are smooth but easily visible due to the color variations and veins. The head is finished off with a well applied triple cap. There are two bands with the first being primarily gray along with some royal blue and having a mans portrait and the line name on it. The secondary strip band is the same royal blue with the company name in white. The aroma from the wrapper is damp wood and hay while the foot brings dry wood, more hay along with some baking spice. The pre-light draw brings a slightly sweet hay and mild white pepper. 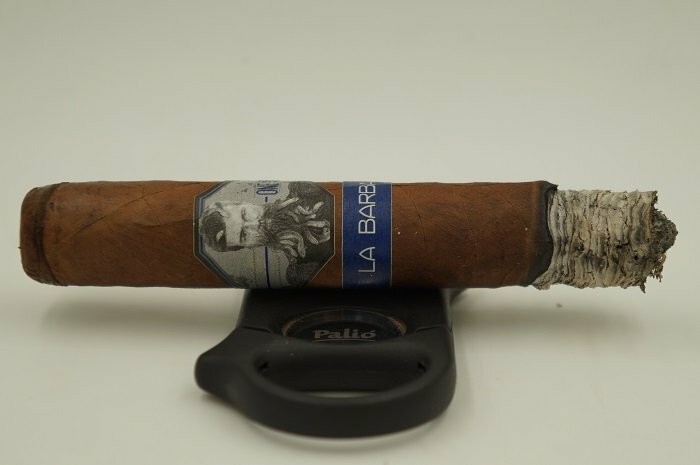 The La Barba One and Only 2018 Super Toro is massive in hand, and this 54 ring gauge offering seems larger than 54. 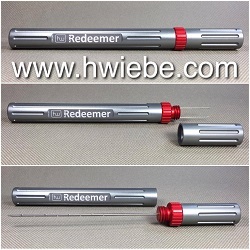 It has a nice firmness to it and it sports some small to medium size veins that are scarce throughout. It has a nice Colorado coloring and is smooth in texture, not oily or silky. 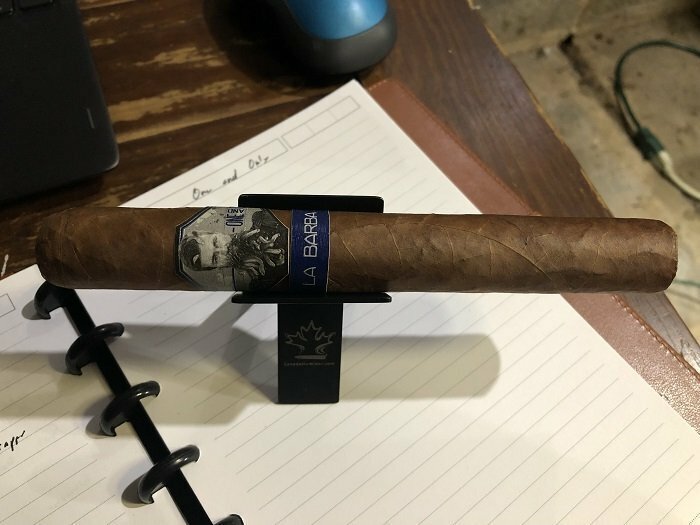 There is an aroma of leather, nuts, tobacco and wood on the wrapper and the foot is showing qualities of raisins, sweet tobacco, oats, spice and earth. 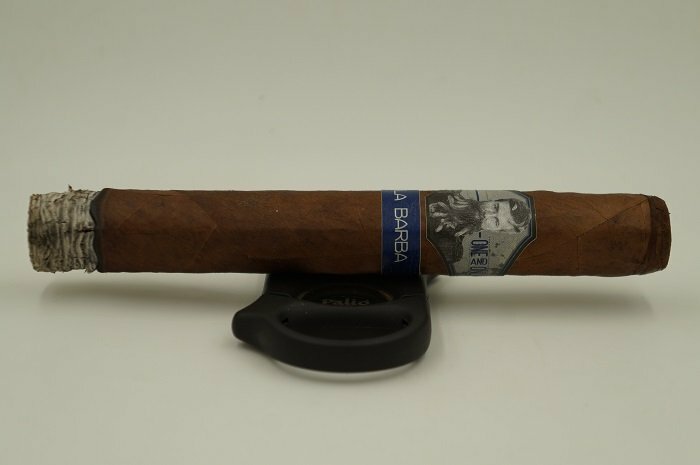 The La Barba One and Only 2018 Super Toro has a primary slate gray band, with a bearded man in the center, and the ‘Only And Only’ title of the cigar. 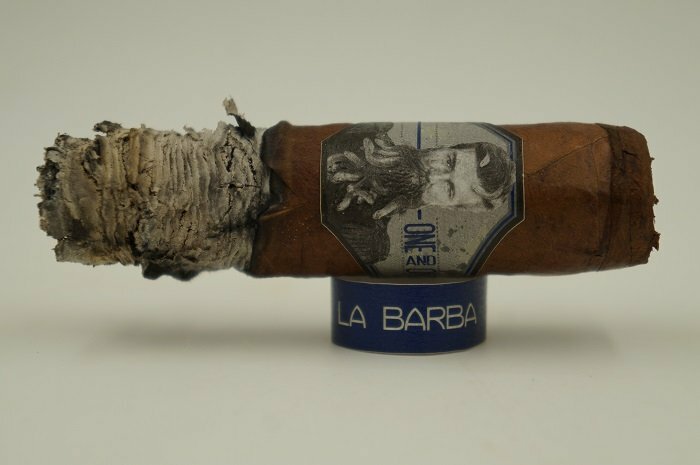 It also has a secondary white on blue band indicating ‘La Barba’. 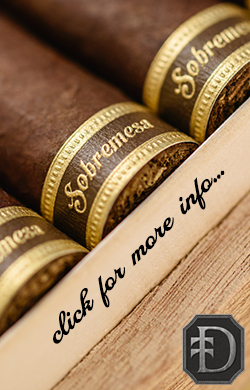 The wrapper is a chocolate brown color, and has aromas of medium strength barnyard and aged wood, along with hints of leather. There is sweet tobacco and hay in the foot. 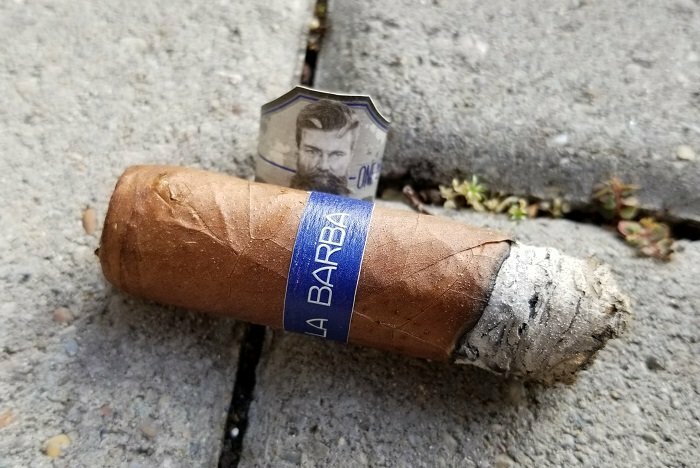 The La Barba One and Only 2018 Super Toro has an almost Colorado Red to the wrapper shade providing a slight red hue. The wrapper also has great oil content and uniformed minor toothiness. Veins are pressed well, seams tight, bunch and roll even and head finished off with a well adhered triple cap. Aromas from the wrapper tell cedar and subtle white pepper. Aromas from the foot give nuts, cedar and hay. Cold draw gives cedar shavings, nuts and mild white pepper. 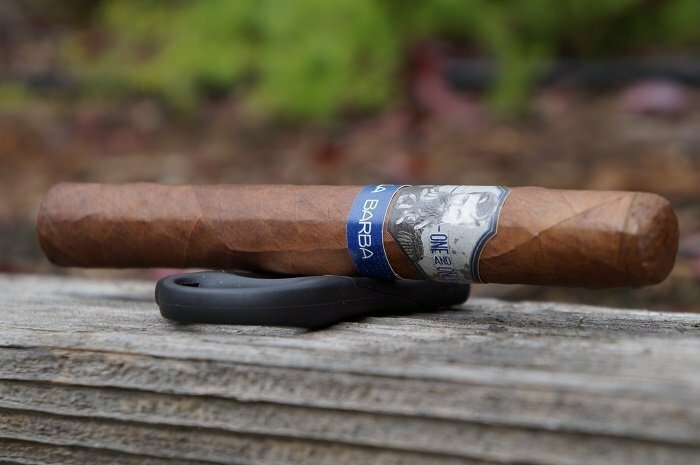 The cigar begins with oak and a mild baking spice. At a half inch in, the baking spice increases slightly and some mustiness joins the profile. At an inch and a half, the oak, baking spice and mustiness are all at equal levels. The retrohale is similar except for the fact that the baking spice has a bit of a bite. As the third comes to a close, the mustiness and baking spice have a slight lead over the oak. The strength in this third was mild-medium. The first third starts out with a pop and it is a unique flavor. There are some herbal spices present along with some soft lemon qualities. There are soft spices, mineral notes and the finish has this soft meat quality with creaminess on top of that. Very complex, but balanced and showing a strength and body between medium and medium-full. The One And Only opens with fresh cedar and chocolate, and on the post draw there is a sweetness that has a medium lingering finish. As the first third settles in, baking spices start to build on the retrohale, and leather joins in on the post draw at light plus. 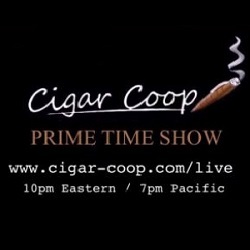 At the one hour mark, sweet cedar is present, and the cigar becomes very wood forward for the remainder of the first third. 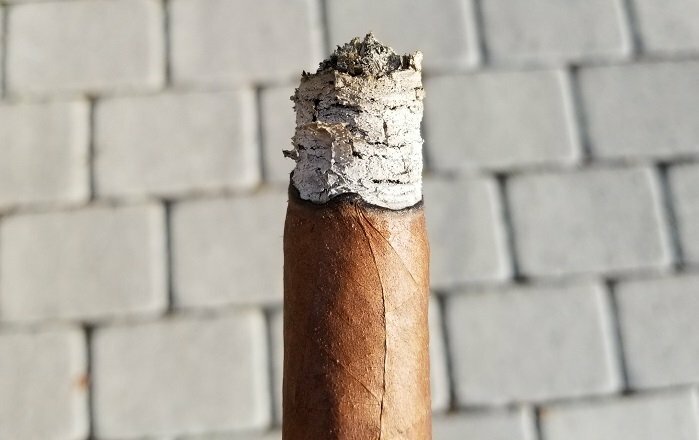 The first thing I notice about the cigar is the high level of bread/yeast that also leads to a good amount of creaminess and natural sweetness. Aside from that, there’s also cedar and mild tannins coating the palate. Retrohaling shows mild white pepper spice, greater cedar and minerals. The finish is on the shorter end but it is very clean with namely a lingering cedar note. Strength and body is medium. As the second third begins, the mustiness has the lead over the oak and baking spice. At a half inch in, the oak and mustiness are even and the baking spice has left the profile. A slight bitterness is present in the background. At an inch in, the oak has gained some toastiness to go along with the mustiness and the bitterness is only slightly detectable on the finish. The retrohale is similar and has a bit more mustiness present. As the third comes to a close, the bitterness comes back to the profile and at a higher level then before. The strength in this third bumped up to slightly below medium. When I get into the second third the cigar has shown some transitioning and is delivering more coffee, spice and cream qualities. 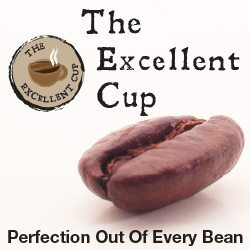 There is a faint herbal spice and lemon flavor with that and as before, it is a complex blend. The strength and body are remaining at that medium to medium-full profile and as I have said before, it is balanced and complex. 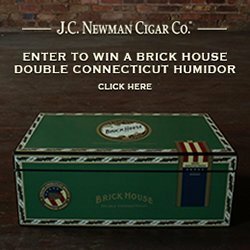 The cigar is still wood forward going into the second third. Once the second third has established itself, some citrus joins the profile. At the halfway mark I’m tasting sweet hay. The bottom half of the second third settles into a wood forward flavor profile with hay as a supporting note. The second third continues to deliver the same medium bodied and strength profile having plenty of sweet creaminess of bread, cedar and mild tannins. Further, minerals show up on the mouth draws adding spice to the mix. As the final third begins, the bitterness is the focus of the profile as it has a very long lingering finish. The musty oak is the other core component and has lost the toasted note. At a quarter inch in, I perform a flaming purge which produces a large and long lasting flame. After the purge and bit of rest, the bitterness subsides quite a bit and the musty oak is back up front and the bitterness is faint in the background again. At an inch in, the toasted note returns and the retrohale carries the same profile of musty and toasted oak. As the cigar comes to a close, it begins to warm up which brings some mintiness to the profile. The strength in this third increased to medium. The finish on the smoke is fantastic and it is showing this lemon spice up front. There are some herbal, woody and hay qualities as well and it has a soft smoky cream finish. Complex, the thirds in this cigar have been fantastic. 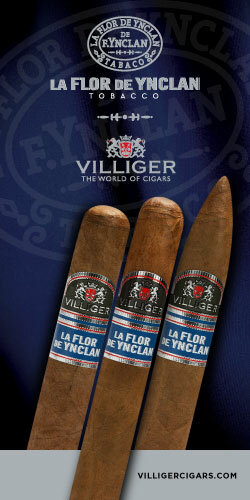 I would classify the cigar as staying at a consistent medium to medium-full level, and is very enjoyable. There are no significant flavor change ups in the final third, although there is mild char that joins for the first 5 to 10 minutes. The last third, while it is still medium strength and bodied, changes the flavor profile such that it is more wood (cedar) and spice/earth (minerals) focused. That isn’t to say the other flavors are not there but just a flip of dominance. The burn was slightly wavy throughout. The ash held on in about inch and a half increments. 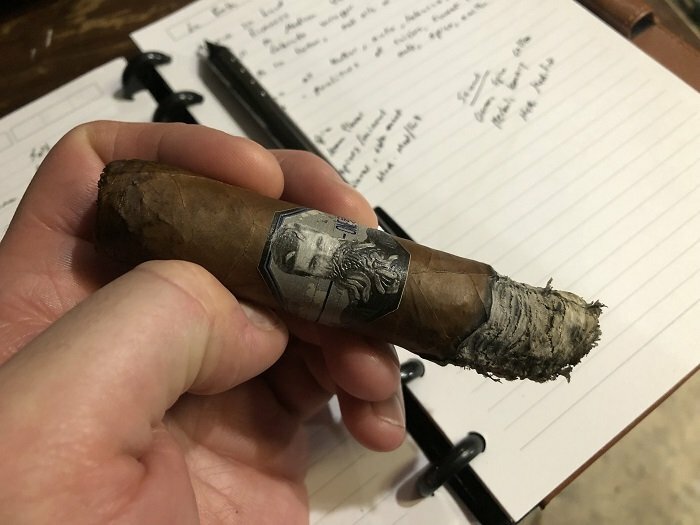 The burn throughout the cigar was solid. It started off strong and got a little wavy towards the end, but nothing major. It did not require touch- ups and it produced a nice light gray color ash. The first third has a slight wavy burn, eventually resulting in a canoe burn and a touch-up to correct. There is a touch-up at the end of the first third as well. Burn performance was very good. Cool burn, fairly even burn line, plenty of smoke production and solid ashes. The only downsides were a couple of touch-ups. 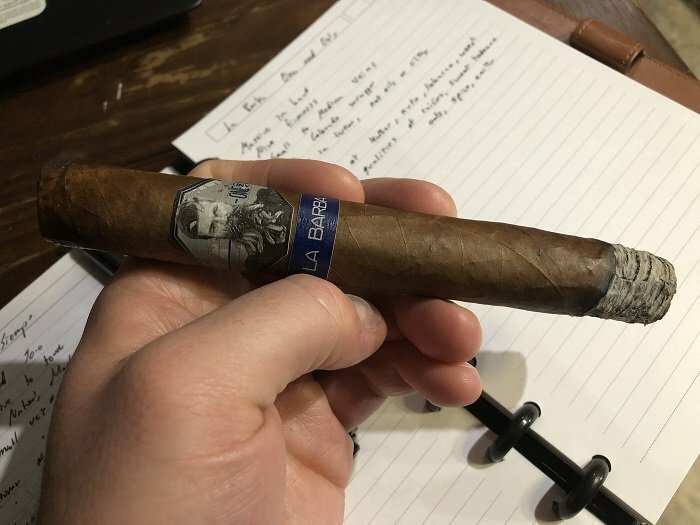 The cigar took a little bit to get going before the oak, mustiness and baking spice became cohesive flavors. As it went along it kind of fizzled out as the baking spice left and then bitterness became an issue in the second half of the cigar. Construction was good and strength never got above medium. I’d be interested in smoking this in a smaller vitola to see if the flavor concentration is a bit better. As it stands, this probably isn’t a cigar I’d revisit aside from curiosity in another vitola. 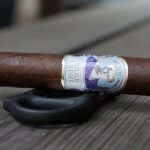 I haven’t smoked the previous release, so I wouldn’t be able to compare the versions. 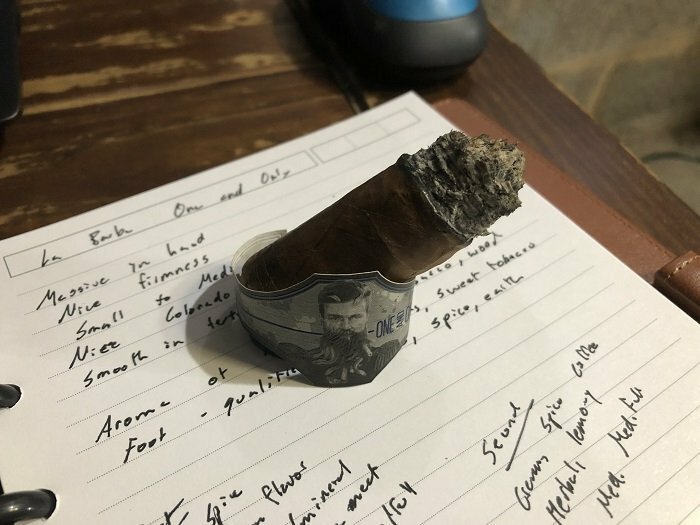 The draw was a little bit loose for my liking, but with the cigar being larger in ring gauge that was not a problem. A great bit of smoke was produced with each draw and it smoked cool from start to finish. 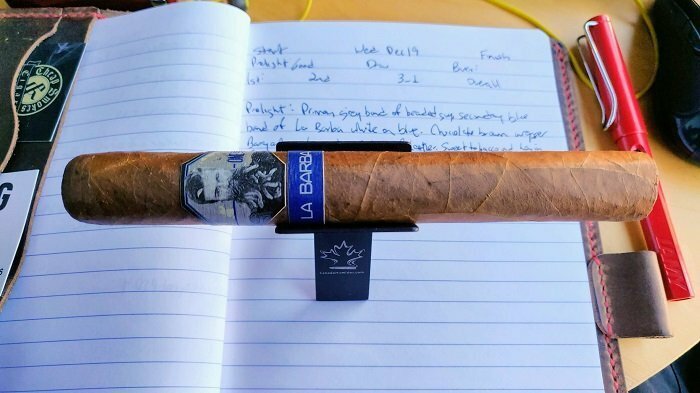 I am a big fan of the La Barba One and Only 2018 Super Toro. 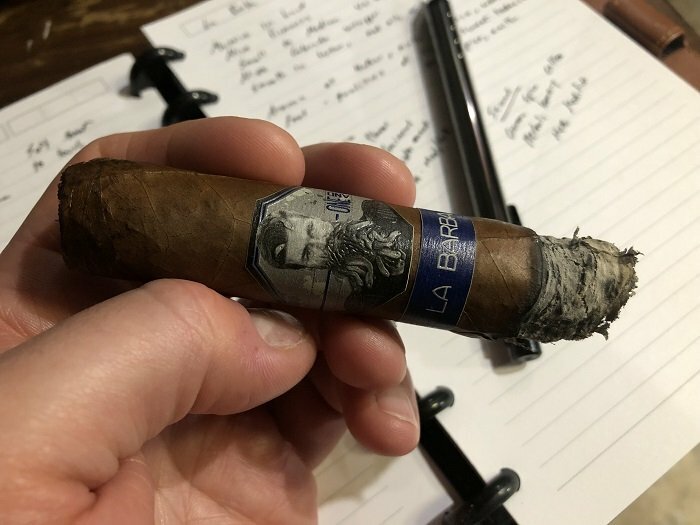 In fact, I think the two releases that La Barba had at the 2018 IPCPR were both hits. It is possible, that as a brand overall, they had the best show. One and Only 2018 was complex from start to finish and showed transitioning and depth. The flavor profile might not be to everyone’s liking, but I can really get behind it. 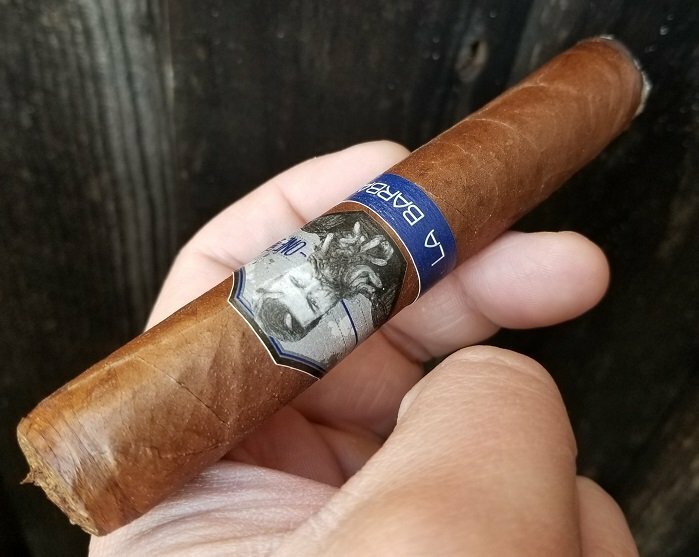 It is flavor focused and a cigar that you really have to take your time on and focus on to truly enjoy. 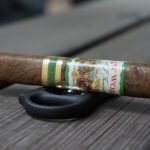 I would classify it as a cigar for connoisseurs and not just cigar smokers. Very limited, buy a box. 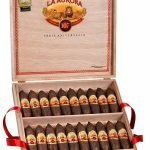 I also like that the cigar comes in one size only. Love when that is done for limited releases and even regular production products. The draw is perfect, with the resistance being right in the center of open and tight. 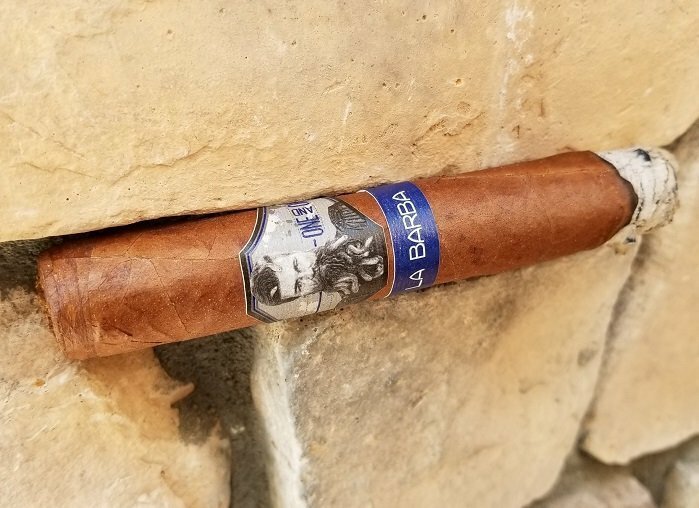 The La Barba One and Only 2018 Super Toro is an enjoyable cigar with a primarily wood forward profile, supported by hay, sweetness, mild spice and mild chocolate. 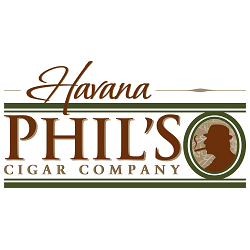 The cigar size results in a significant smoking time and value, finishing up at 2 hours and 50 minutes. The draw was perfect. No complaints here. 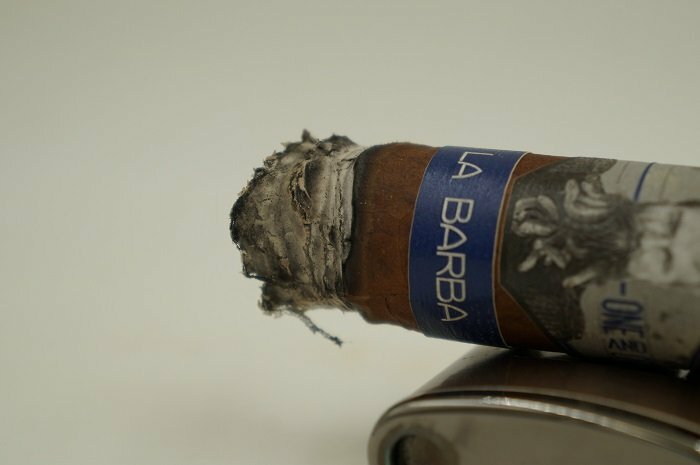 This is another great example from La Barba focusing on flavors above all else. 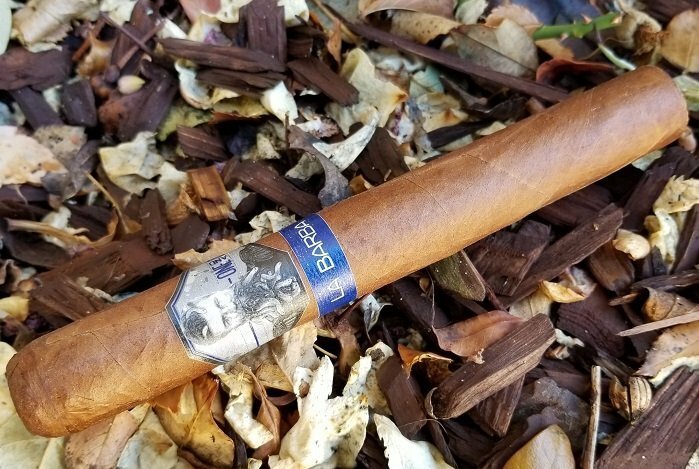 For such a big cigar, the smoking experience kept me engaged with a bounty of cream and sweetness from bread and accented cedar and minerals. 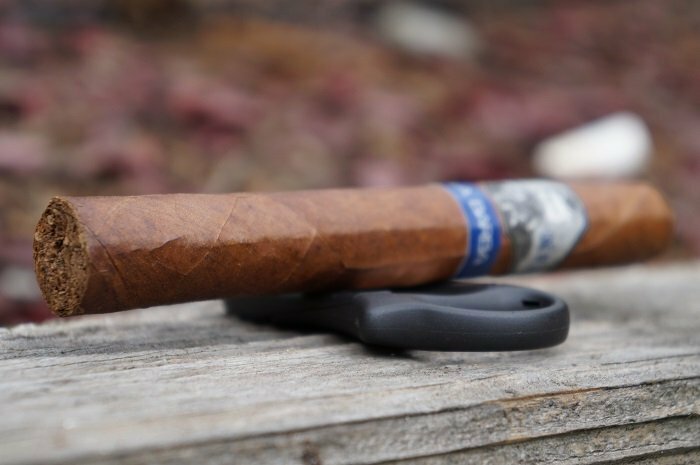 The increasing level of cedar and minerals throughout the cigar kept me interested and before I knew it, it was time to put the cigar down. For fans of flavors without a heavy dose of strength or thick body (such as me), this is no doubt for you.